Remember when we wrote about the new public, outdoor observation deck going into the space where SFO’s control tower used to be? Here’s that post. Well, that idea was so well received that the airport will add a second deck… but this one will actually open first. 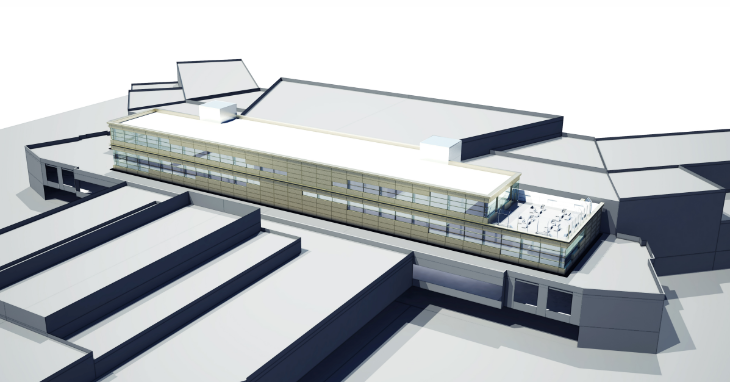 Look at the photo above and you’ll see a tan area at the end of the terminal– that’s where the new deck will be located. The new outdoor observation deck will be located at the end of the International Terminal Boarding Area G (United/Star Alliance side). What’s really cool about this location is that you’ll be able to almost reach out and touch the noses of the A380s that dock there– look at the photo and you’ll see the telltale sign of an A380 jetway– it’s really three jetways in one, which is necessary to load and unload the big bird. 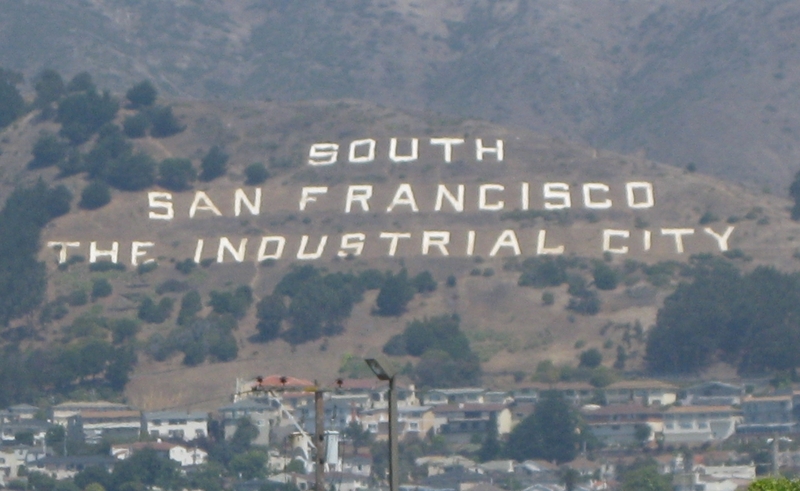 The new deck will not only offer great views of big planes, runways and the South San Francisco sign on San Bruno Mountain– airport spokesperson Doug Yakel tells TravelSkills that it will also include a “food and beverage concept.” He said that the airport is simply reconfiguring for public use a deck that is already there. The new deck should open next year- December 2018. 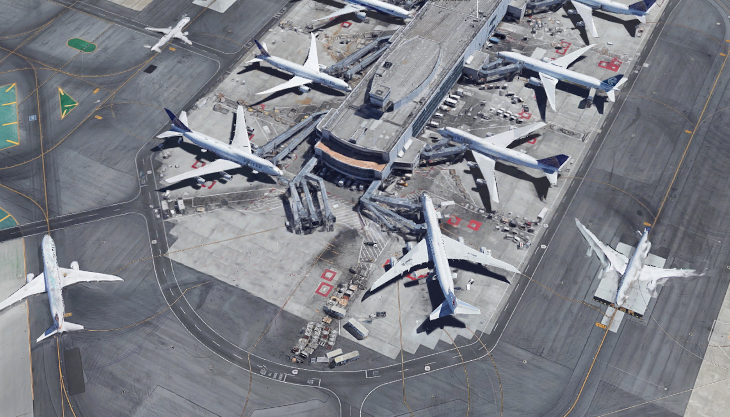 The public deck atop Terminal 2 (image below) won’t open for two more years– December 2019. Do to its location beyond security, the Boarding Area G deck will only make sense for passengers ticketed on flights departing United’s Terminal 3 or boarding area G, unlike the Terminal 2 deck which will have pre-security access for non-ticketed passengers. For reference, see a full airport map here. What a great place to cool your heels as you wait for your flight? All the more reason to get to the airport early, right? Outdoor spaces have been gaining popularity in recent years at US airport, but they’ve been built to delight members of airport clubs for the most part. For example, Delta has outdoor space at its Sky Clubs in Atlanta and New York. The Stay Alliance lounge in Los Angeles has a nice outdoor space– with fireplaces! 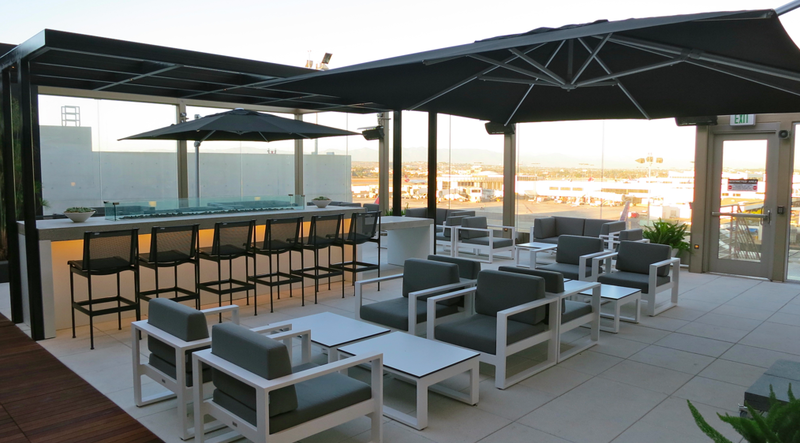 Earlier this year, Alaska Air hinted that it may open a new Alaska Club with an outdoor deck space atop T2 terminals, but we’ve heard less and less about that effort in recent months. What’s your favorite outdoor airport space? Please leave your comments below.